It is recommended to use the iPoll 2 proprietary protocol for simple Point-to-Point network configuration. All other settings should be left as their default values. Press the gear icon found in the Wireless Settings (AP) section (shown below) to change the SSID and the encryption configurations. enable Security for secure traffic on link. 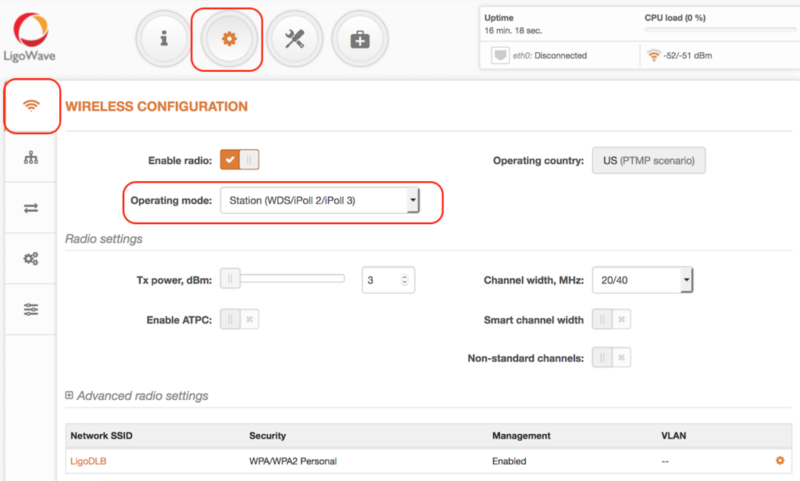 set Wireless mode to Station (WDS/iPoll 2). Press the gear icon found in the Wireless Settings (Station) section (shown below) to change the SSID and the encryption configurations. 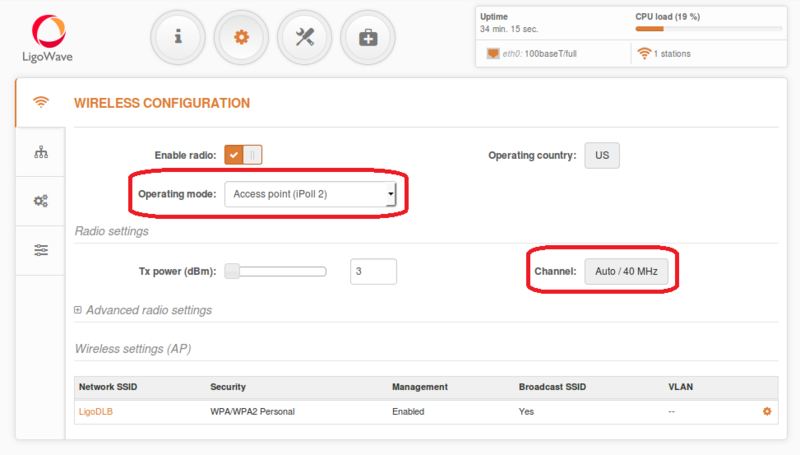 Note that Station iPoll 2 security settings must match the settings configured on the Access Point iPoll 2 with which the station is associated. Step 6. Verify the PTP link connection. Navigate to Status > Information. The information page will display data for the wireless link. 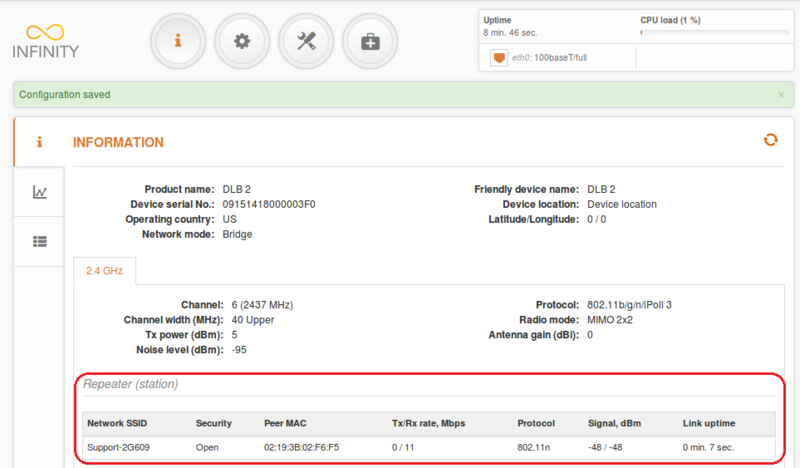 Detailed information about the connected peers is found in the Status > Wireless page. WDS mode can be set in a bridged (layer 2) network. The recommended maximum number of stations per AP is 60–70. 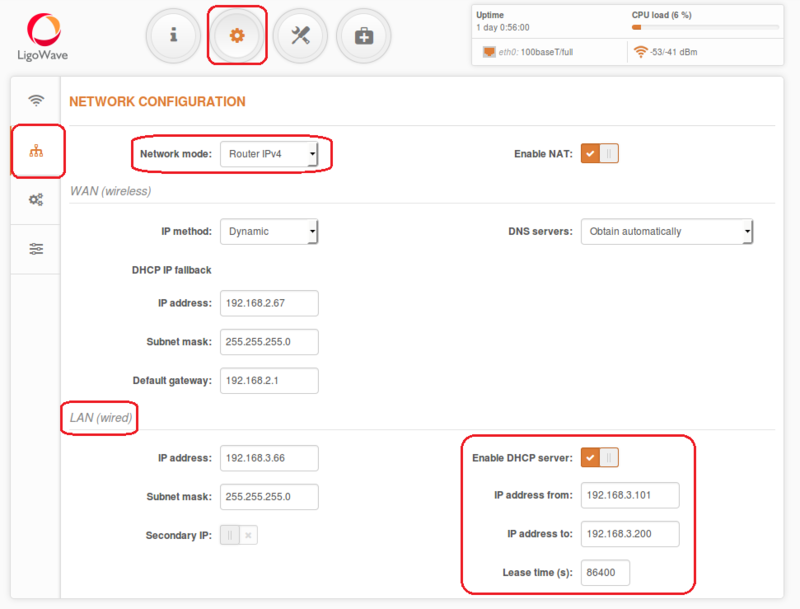 Change the device’s IP address (can be static or dynamic) and enable IP alias (secondary IP), if necessary. The Default IP address can be left as its default value because it is used for device management. set ACK timeout based on the maximum distance from the station. 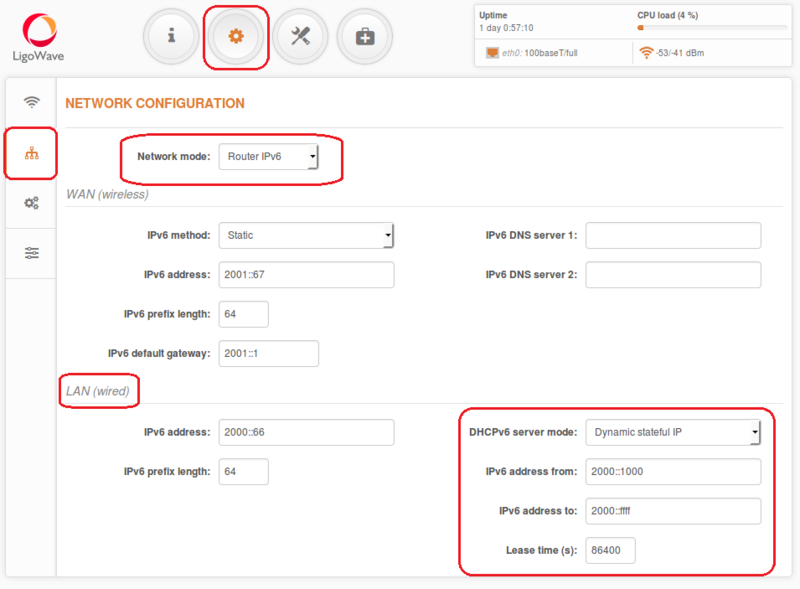 Change the device’s IP address (can be static or dynamic) and enable IP alias (secondary IP), if necessary. All of the stations’ IPs must be on the same subnet as the AP. 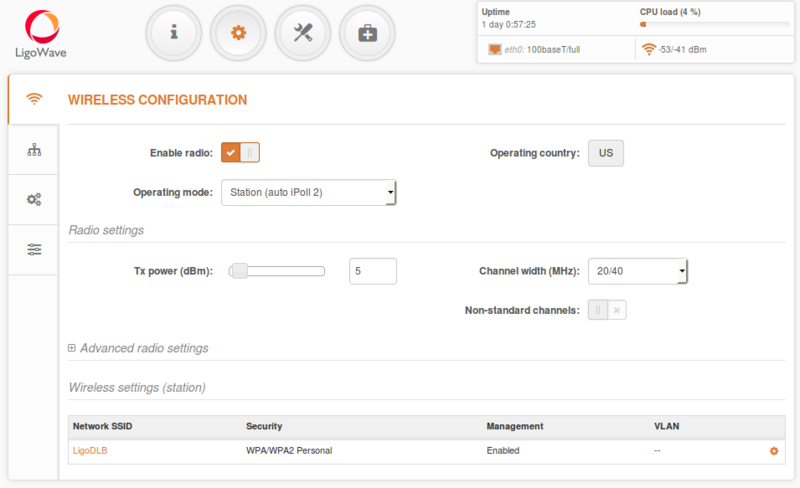 set Wireless mode to Station (WDS/iPoll 2/iPoll 3). Leave all other settings as their default values. Monitor the indicator on the access point to confirm that all stations are connected. Monitor signal levels on both the Access Point and the Station. The recommended signal level range is –35dBm to –60dBm. If the device is MIMO, there are two signal streams. One of them is Main (Antenna 1) and the other is Aux. Main’s stream is mandatory. If Main’s signal is very weak, the link will not be stable or will not work at all. It is necessary to align the antennas to achieve the best Main signal. If Aux’s stream is weak, the link will work at a lower data rate. Check whether the CCQ is good on the AP and the Station and whether it reaches 100/100. Step 6. Optimize the channel size for best performance. Before changing from auto-channel to some particular channel, it is recommended to perform a scan on the AP and on the Station (Tools > Site Survey). Try to find the cleanest frequency for device operation. 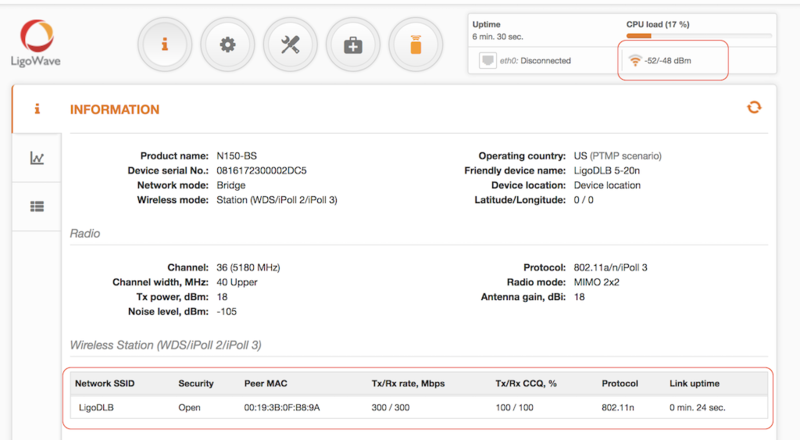 iPoll 3 mode can be set in a bridged (layer 2) network. iPoll 2 mode should be used when the AP and all of its stations are Deliberant devices. Otherwise, select the WDS mode. The recommended maximum number of stations per AP is 60–70. 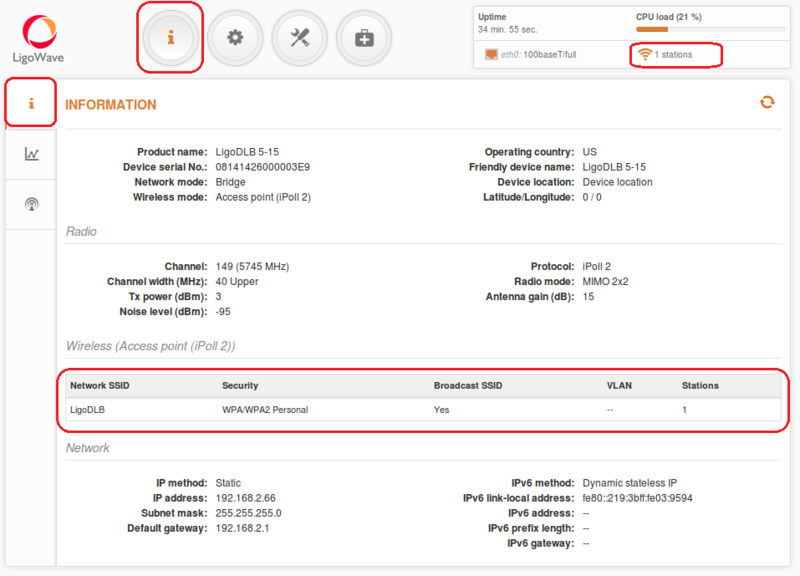 Change Access Point device IP address (can be static or dynamic) and enable IP alias (secondary IP), if necessary. 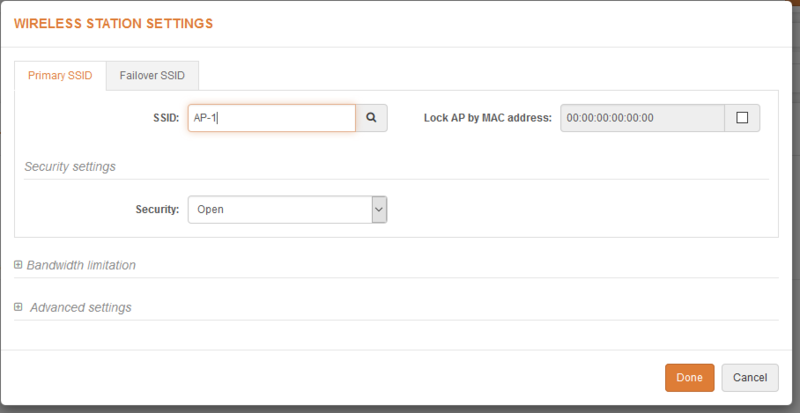 The Wireless Access Control List is an access control based on MAC addresses (only available in AP and iPoll 2 AP wireless modes). 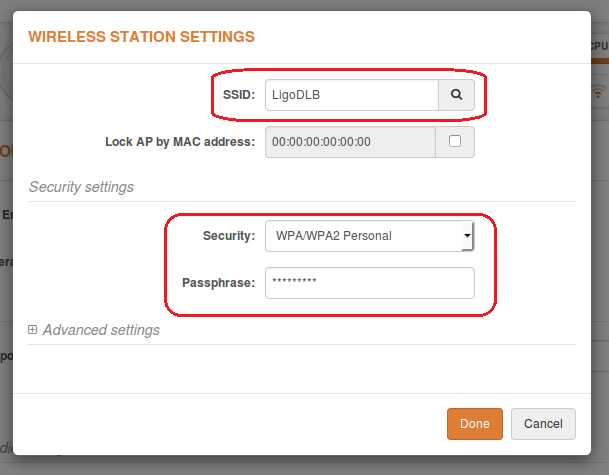 Access control allows users to limit wireless associations (based on the MAC address) with APs by creating an Access Control List (ACL). Open – no rules are applied. Allow MAC in the list – select to allow connectivity for devices in the list only (white list). Deny MAC in the list – select to prohibit connection for devices in the list (black list). 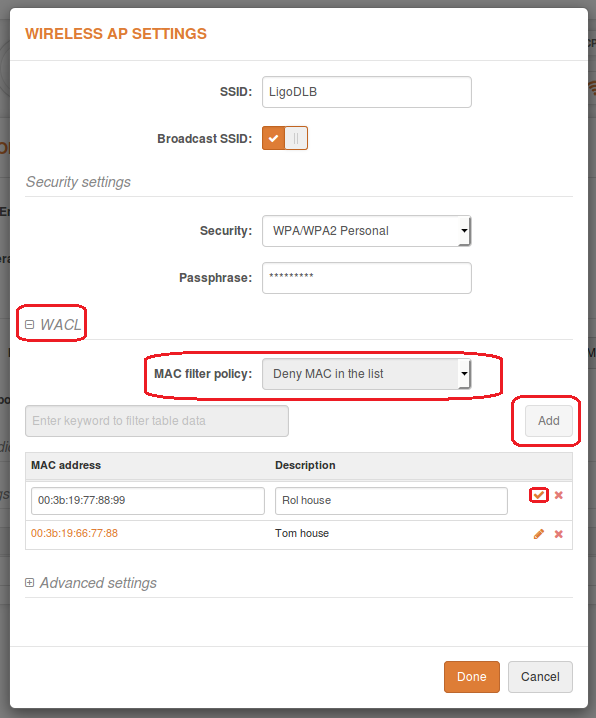 Do not forget to tick the highlighted check mark to save the MAC address in list. Enable management VLAN – enable VLAN tagging for management traffic. Access to the AP for management purposes can be further limited using VLAN tagging. By defining Management VLAN, the device will only accept management frames that have the appropriate Management VLAN ID. All other frames using any management protocol will be rejected. Management VLAN ID – specify the VLAN ID [2-4095]. When the device’s interfaces are configured using a specific VLAN ID value, only management frames that match the configured VLAN ID will be accepted by the device. When users specify new management VLAN parameters, the HTTP connection with the device will is lost. For this reason, users should have a connection between the management station and a port using the new management VLAN or should connect to the new management VLAN using a multi-VLAN router. 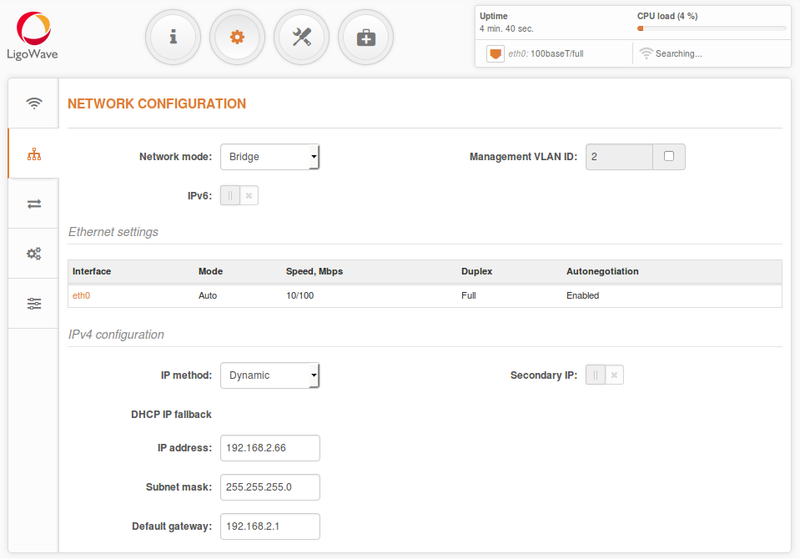 Network management is only available on the Bridge network mode. 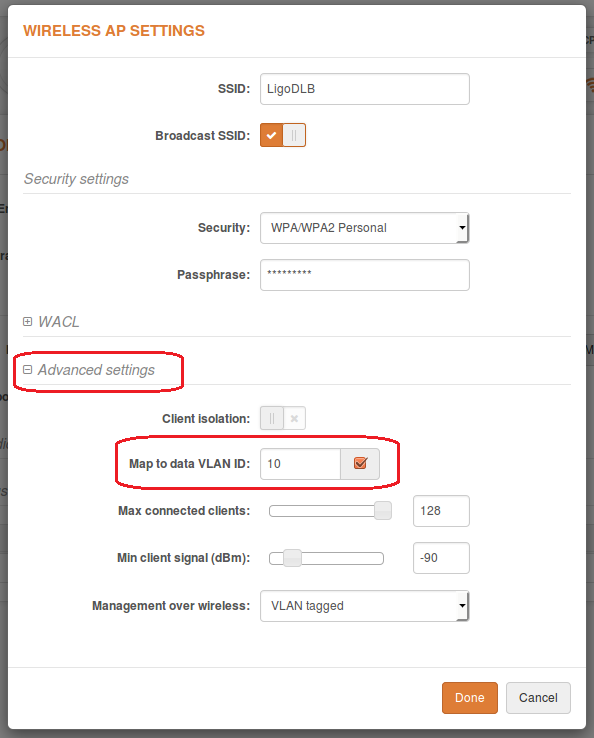 Map to data VLAN ID – specify the VLAN ID for traffic tagging on particular radio interfaces. Station devices that associate using the particular SSID will be grouped into this VLAN. Management over wireless – controls wireless administrative access. For security reasons, it is recommended to disable wireless access and, instead, to require a physical network connection using an Ethernet cable for administrative access to the APC. Management over wireless is set up appropriately depending on whether management VLAN is enabled or not. 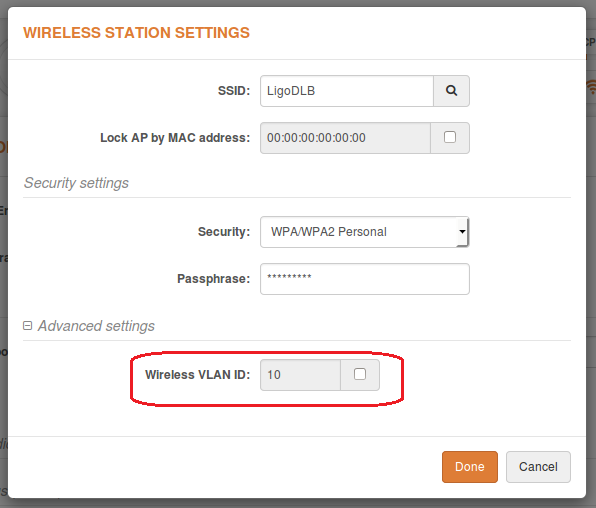 Enable Wireless VLAN ID on the Station device to enable data VLAN. Step 1. 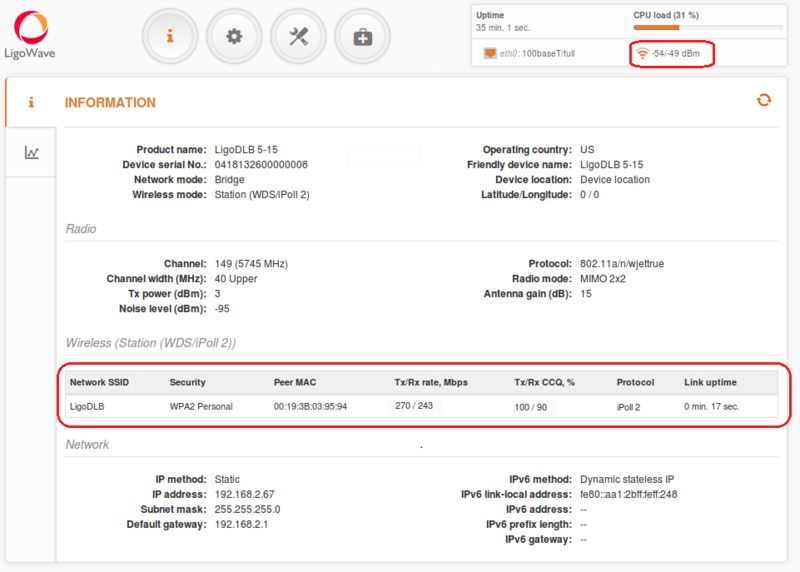 Navigate to Configuration > Wireless configuration and set Operating mode to Station (auto iPoll 2). Step 1. 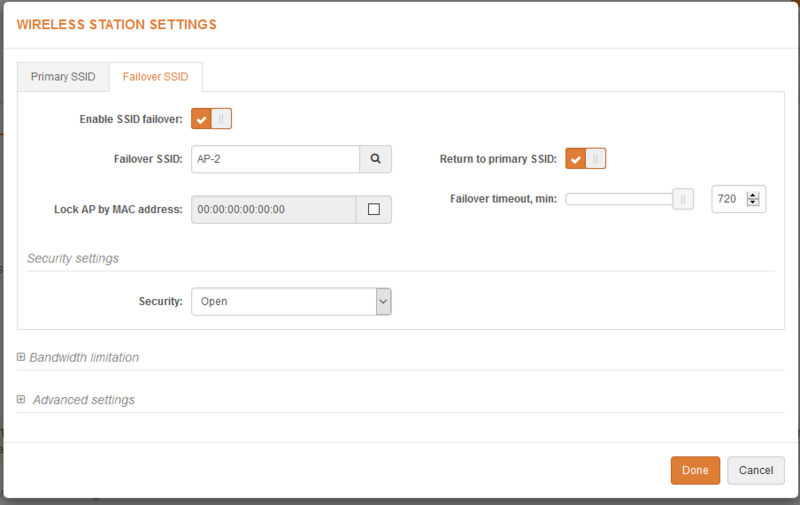 This section allows users to customize the parameters of the Router to suit the needs of the network. This includes the ability to use the built-in DHCP server. 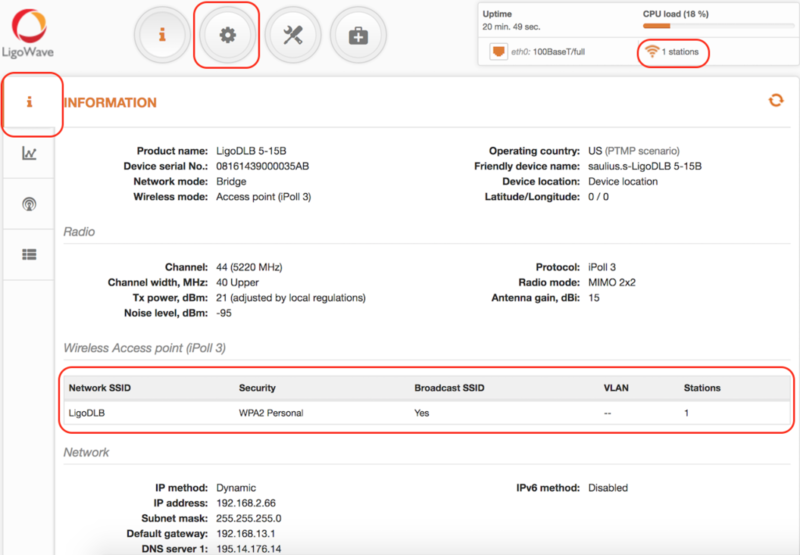 When the device is configured to operate as a Router, the following sections should be specified: WAN network settings, LAN network settings, and LAN DHCP settings. Step 2. WAN Settings. 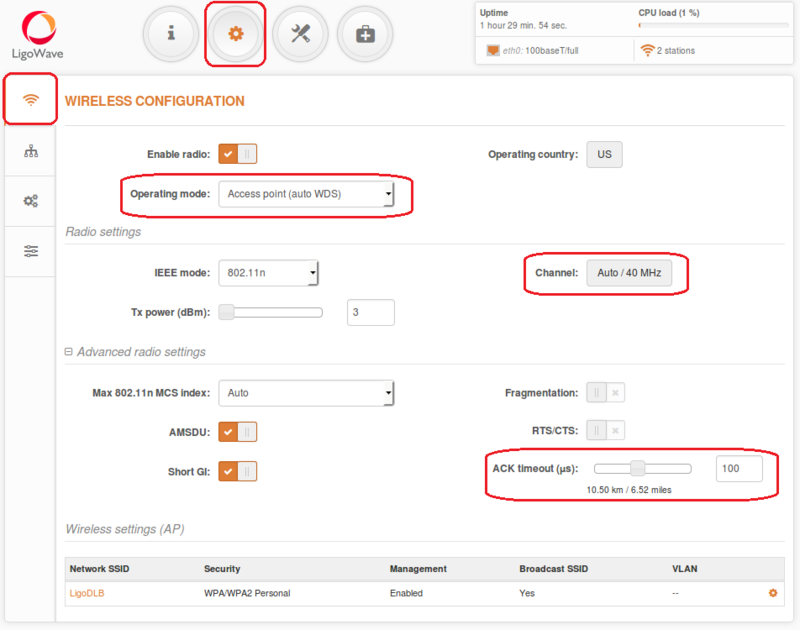 WAN network settings include options related to the WAN interface. In this scenario, the WAN interface is on the wireless side. 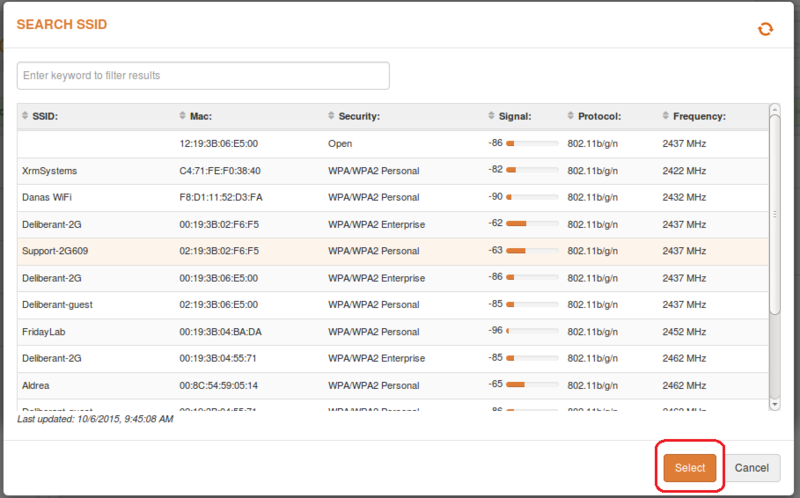 The access type of the WAN interface can be configured to use Static IP or Dynamic IP. Set a static IP that belongs to the same subnet as the AP device. Only then can users reach the station from their network. Step 3. DHCP mode – set up a server to enable the DHCP server on the LAN interface. 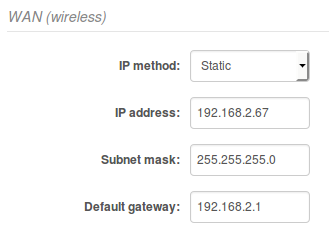 In the IP address field, enter the address which users can use to reach a device via a wired LAN. Default gateway – specify the DHCP gateway IP address. Lease time – specify the expiration time in seconds for the IP address to be assigned by the DHCP server. DNS server – specify the DNS server’s IP address on the WAN side. Step 1. To set up an IPv6 router, set the Network mode to Router IPv6 and specify the required WAN and LAN settings. WAN network settings include options related to the WAN interface. In this scenario, the WAN interface is on the wireless side. The access type of the WAN interface can be configured to use Dynamic stateless IPv6, Dynamic stateful IPv6, and Static IPv6. IPv6 WAN (wired) settings: Static. All settings must be specified manually with this method. IPv6 WAN (wired) settings: Dynamic Stateless. With this method, the device generates its own IP address by using a combination of locally available information and router advertisements, but receives DNS server information from a DHCPv6 server. The IP address is dynamic. IPv6 WAN (wired) settings: Dynamic Stateful. With this method, the device obtains an interface address, configuration information (such as DNS server information), and other parameters from a DHCPv6 server. The IP address is dynamic. 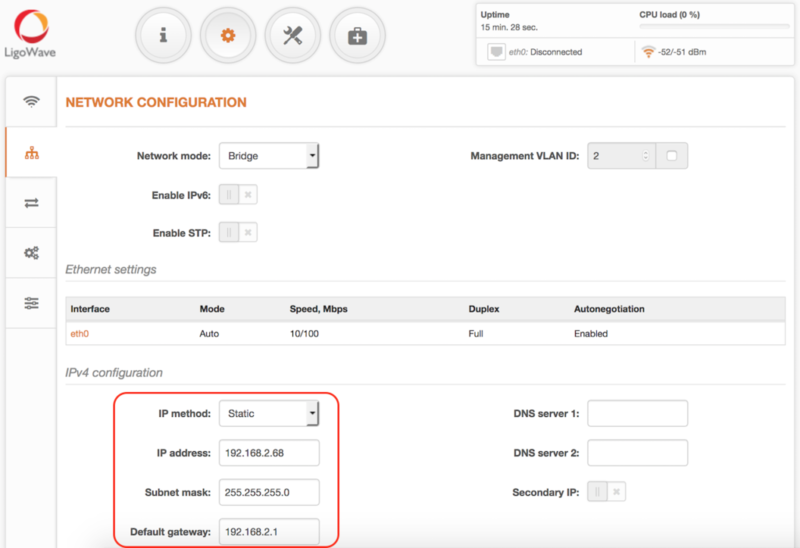 IPv6 address – specify the IPv6 address for the Deliberant interface. 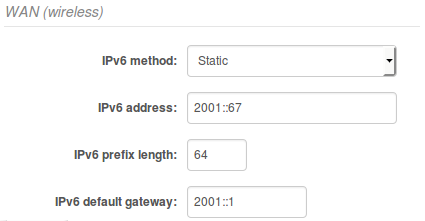 IPv6 prefix length – enter the prefix length for the address (default is 64). Set the static IPv6 address belonging to the same subnet as the AP device. This way users can reach the station from their network. Step 3. DHCPv6 mode. 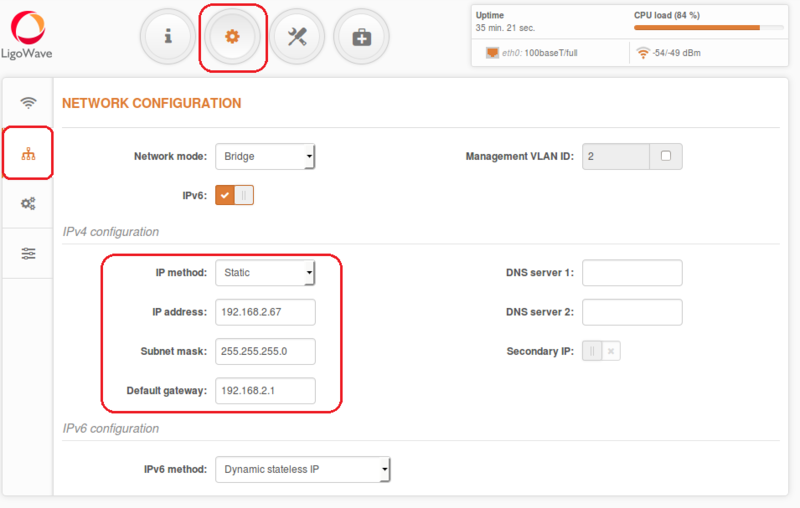 Set up a server to enable the DHCPv6 server on the LAN interface. In the IP address field, indicate an IP address with which the user can reach the devices via a wired LAN. IPv6 prefix length – specify the IPv6 prefix length or keep the default prefix length (64). Disabled – select to disable the DHCPv6 server. No IPv6 addresses will be assigned to clients. Dynamic stateful IP – select to configure a stateful DHCPv6 server for the LAN by specifying the local DHCP IPv6 address pools, so that the DHCPv6 server can control the allocation of IPv6 addresses in the LAN. 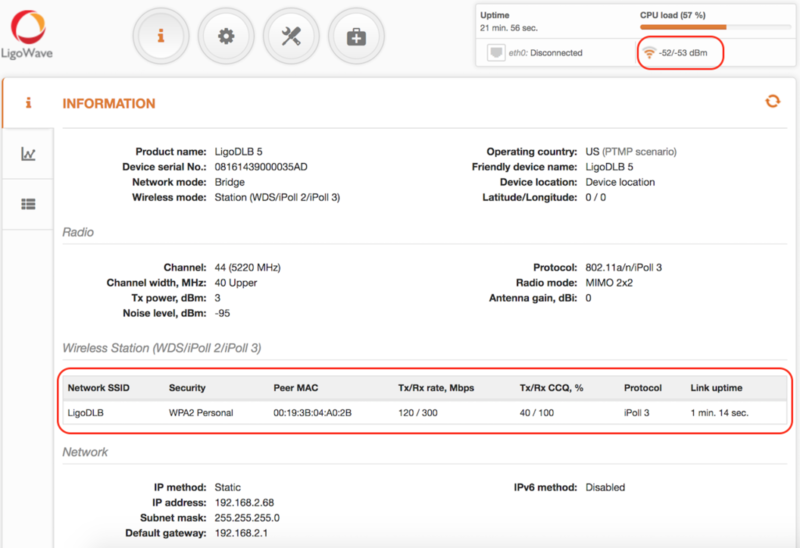 How to Configure a PPPoE Client? A DLB APC operating in Router mode will receive Internet data through the WAN port and will share it to the LAN ports, which will be separated by a different IP range. The type of connection to the WAN interface can be set by choosing Static IP, DHCP client, or PPPoE. 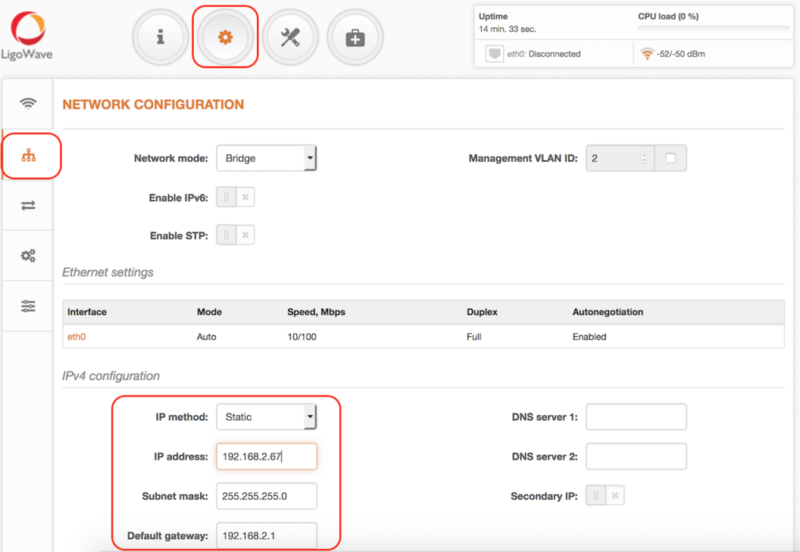 WAN mode – choose PPPoE to configure the WAN interface, so that it would connect to an ISP via a PPPoE. In Access Point mode, the WAN will be on the Ethernet side, while in Station mode, the WAN will be on the Radio interface. 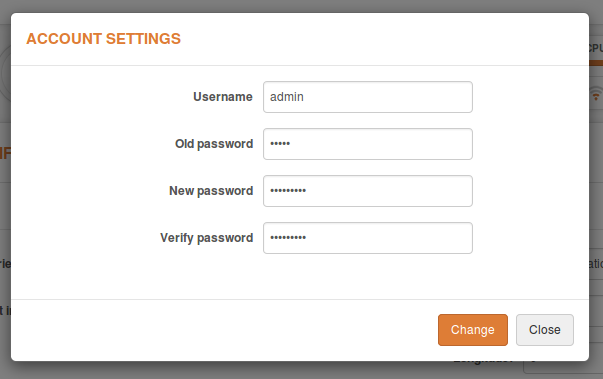 The username and password should be added to the main configuration, while all other settings should remain as their default values. Username – specify the user’s name for PPPoE. DNS settings – allows users to determine whether automatically-assigned or alternative DNS servers should be used. IP address to – specify the ending IP address of the DHCP address pool. Lease time – specify the expiration time (in seconds) for the IP address assigned by the DHCP server. 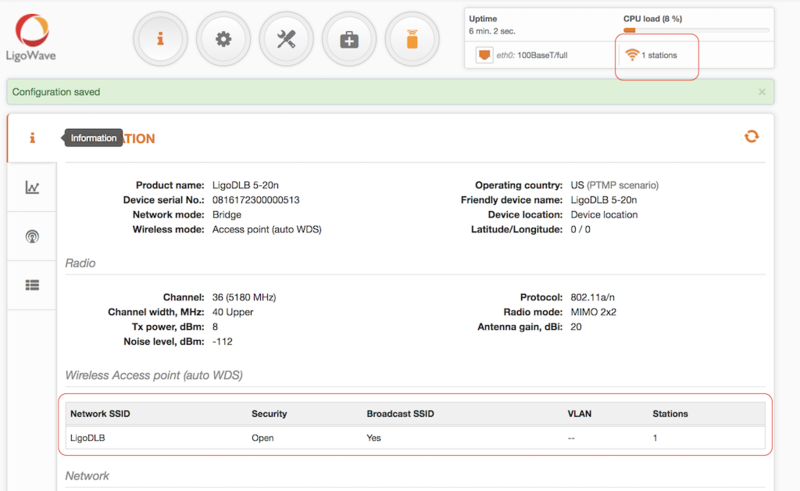 The LigoDLB series does not have HotSpot features in the firmware by default. Step 2. Upgrade the LigoDLB unit with the main firmware. Step 3. 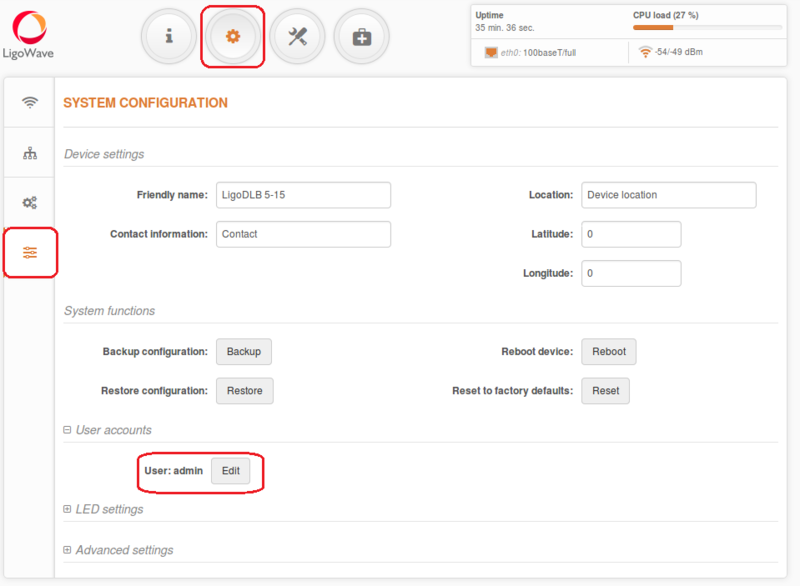 Upgrade the LigoDLB unit with the default configuration firmware. Step 4. Reset the device to its default factory settings. Step 6. Once configured, perform the firmware upgrade for the second time with the main image in order to set up the backup image for dual-boot. 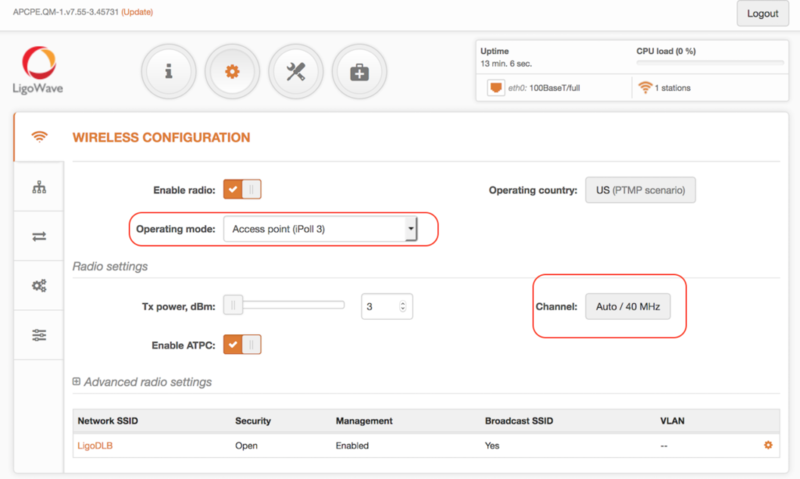 NFT firmware has only two wireless modes: Access Point and Repeater. Instructions on how to revert the device from NFT firmware to LigoDLB can be found here. Step 1. First of all, the access point has to be configured to operate as a standard Access Point (Auto WDS). Step 2. Configure the SSID and Security. Step 3. Save & Apply the settings. Step 4. 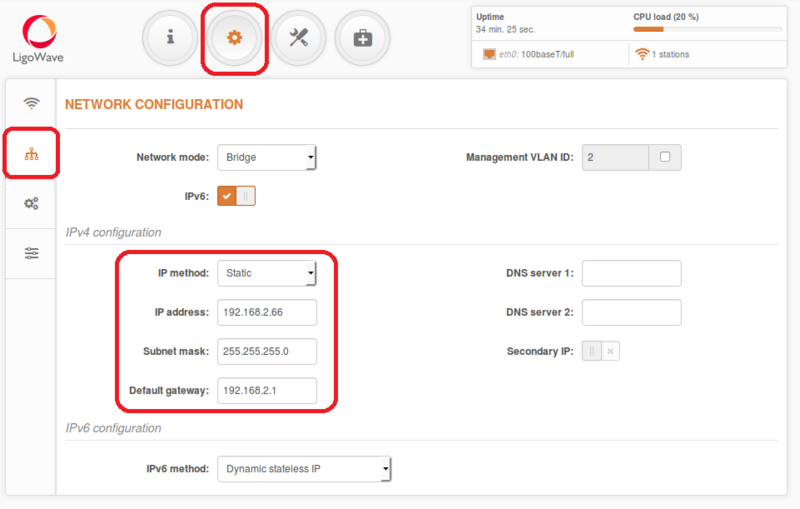 To configure the access point to automatically receive network settings, set the IP method to Dynamic. Step 5. Save & Apply the settings. Step 6. Keep the access point on and either plug the LAN connection into a live network (modem, router, or switch), or simply unplug from the configuration computer. Step 1. 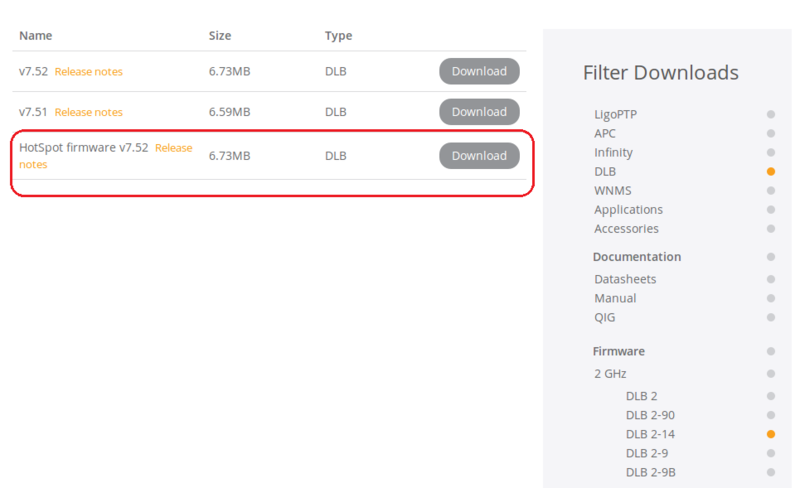 Download the HotSpot firmware from LigoWave’s Downloads page. Step 2. Extract from archive the LigoDLB HotSpot firmware. There should be two files in this folder: DLB-2/5-HotSpot.QM-2/5.vXX.NFT.img and CONFIG_DLB-2/5.QM-2/5.vXX.NFT. NFT_for_DLB-2/5.OEM.img. Step 3. Turn on the repeater device’s GUI and click Update at the top-left corner of the screen. Step 4. In the device’s file upload screen, click Browse and navigate to the location of the extracted DLB-2/5_HotSpot-firmware folder and open the DLB-2/5-HotSpot.QM-2/5.vXX-NFT.img file. Step 5. Upload and Upgrade the device. Do not interrupt the firmware upgrade. Otherwise the firmware may become corrupt. Step 7. 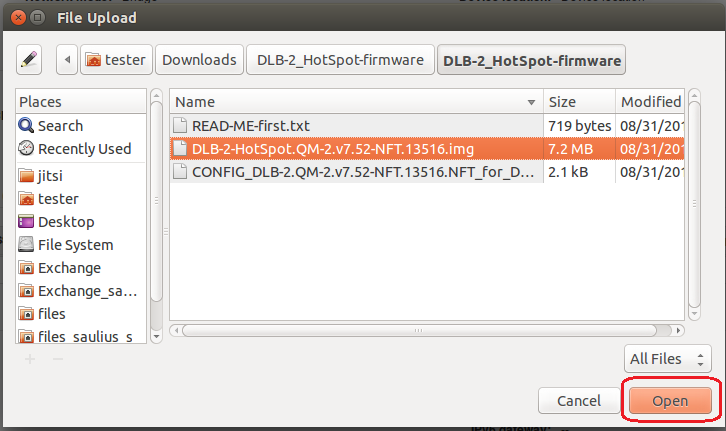 In the file upload window, click Browse and navigate to the location of the extracted DLB-2/5_HotSpot-firmware folder. Step 9. Upload the file. Step 10. Upgrade the device. Step 11. Once the update is complete, reset the device to its default factory settings. Step 1. Log in and enable the Repeater mode. Make sure that the access point is turned on. Step 2. 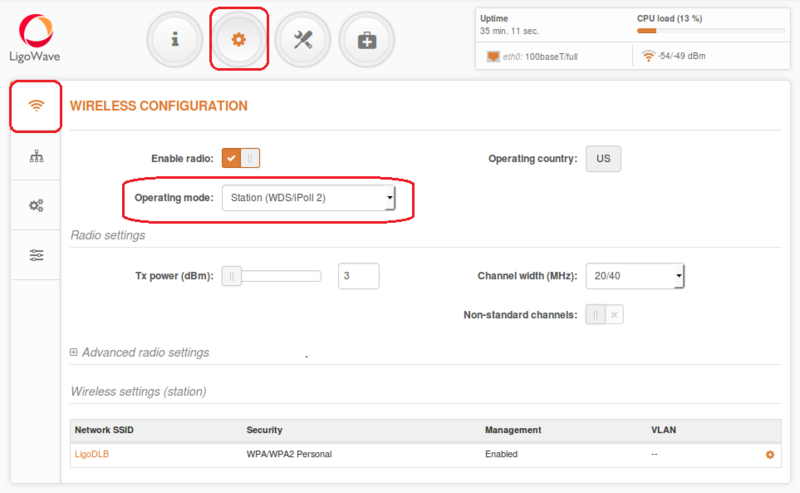 Click on the configuration gear icon under Repeater settings (Station). Step 3. Click on the magnifying glass icon to search for the access point. Step 4. Choose the necessary access point from the list and select the same security settings as the access point. Step 5. Click Done once the configuration is finished. Step 6. 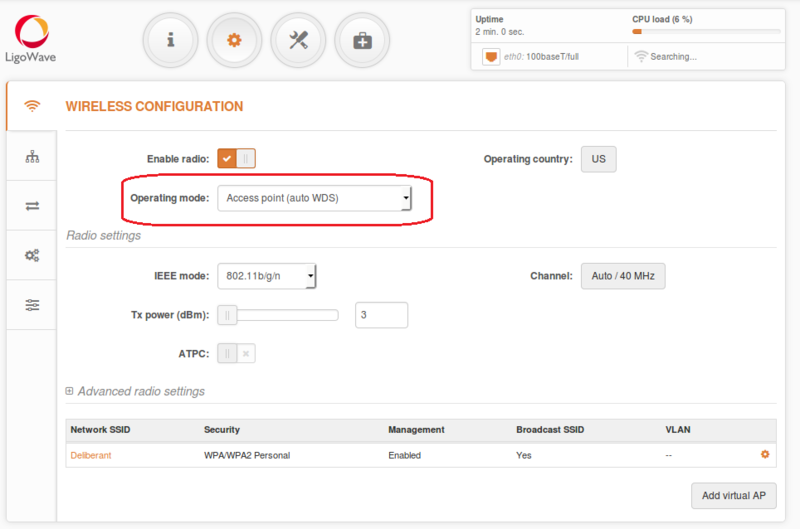 Check whether the Repeater (Station) and Access Point are configured correctly. Remember to always click Save & Apply to implement all changes. Step 7. Verify that the repeater is connected by going to the Information page. Confirm that the device is connected to the repeated SSID by going to the Information page on the repeater. The access point and repeater should now be ready to install. 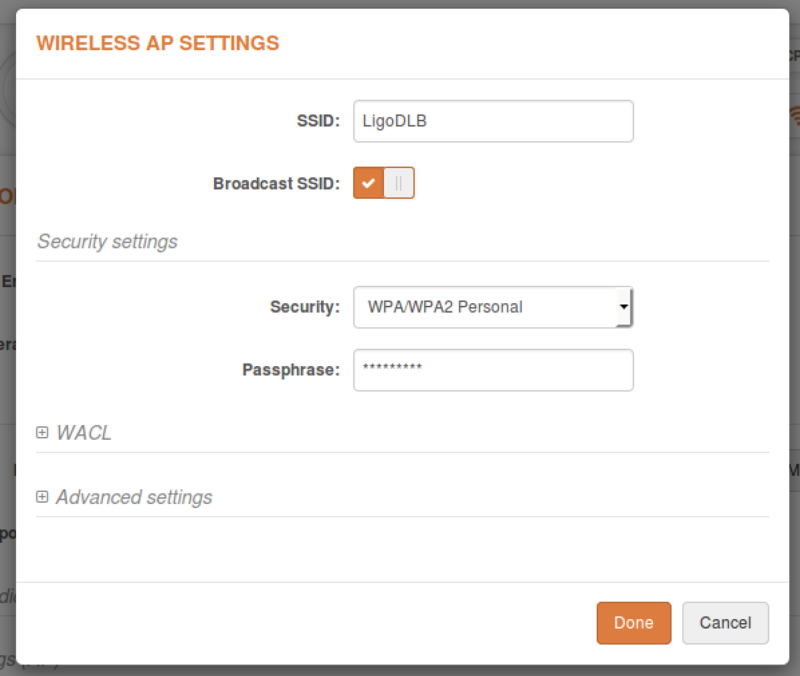 LigoDLB units can connect to a pre-configured failover SSID in case the connection to the primary SSID is lost. In case the Station is operating on a failover SSID and then loses this connection, the Station will try to connect to the primary SSID first, and only then will it try to attempt to connect to the failover SSID. The same sequence of events may also cause a reboot. 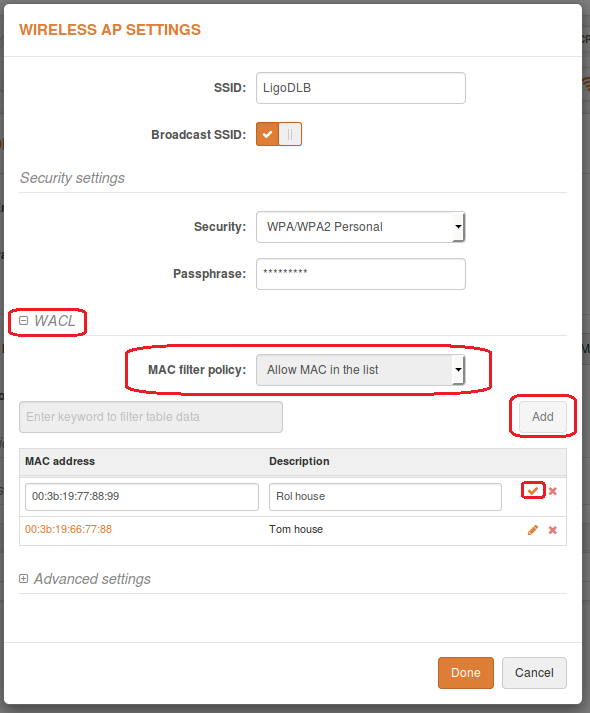 Use the Primary SSID tab to specify the Main Access Point SSID. Use the Failover SSID tab to enable the SSID failover function. 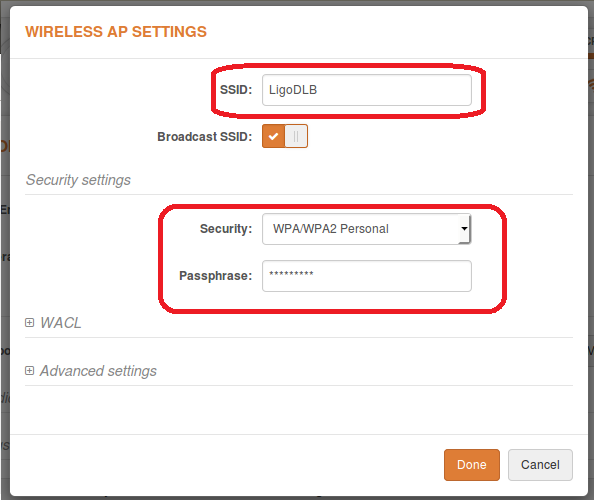 Failover SSID – specify the secondary SSID where the LigoDLB Station will try to connect. Return to primary SSID – when enabled, the LigoDLB unit tries to connect continuously to the primary SSID in the intervals preset. Failover timeout – specify the amount of time in minutes for the station to attempt to connect to the primary SSID. Outgoing (AP to Station) – specify the maximum speed in Mbps of outgoing traffic. Incoming (Station to AP) – specify the maximum speed in Mbps of incoming traffic. drastically better performance results in the same situation compared to standard HCF technology based networks. The proprietary iPoll protocol allows each wireless link to obtain maximum bandwidth with the lowest possible latency. This is accomplished by utilising a smart polling feature which handles connected clients’ activity. Stations, which require less airtime are moved to a low activity or idle list, while stations, which are generating more traffic are moved to an active list. By decreasing the number of polled stations we achieve lower latency figures as well as higher throughput per station. The uplink/downlink ratio is implemented to control the throughput from the access point to stations. This ratio is dynamic and adjusts based on the active number of stations. The dynamic uplink/downlink ratio together with QoS makes LigoDLB device based networks self-optimizing and able to achieve maximum performance in different conditions. Note: For the PTP mode will be used only first rule which shows that polling will not start. Note: For the PTP mode will be used only first rule which shows that polling will start when station reach 15Mbps aggregate throughput or 2000PPS. Note: For the PTMP mode will be used rules which shows that polling will start when station count exceeds 0-20, 20-30, 30-40, 40 or more.